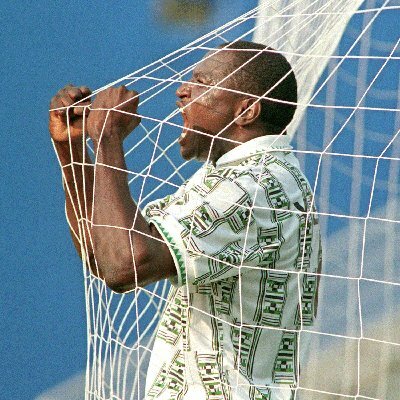 Contrary to the widespread rumor trending on the social media where Rashidi Yekini’s mother Sikiratu Yekini is seen looking like an impoverished woman hawking bread for survival, I have to come out strongly to condemn in strong terms the malicious attempt by the uninformed sets of people who are set to tarnish the good image of late Rashidi Yekini as a prodigal son who never took care of his family especially his mother. A picture of the 4 flats of 3 bedrooms each with 4 Boys Quarters of 2 rooms each built at the back of the building which was built by Yekini for his mother before he died. Yekini`s mother had always been a petty trader even when her son was alive. “This background building of Yekini`s mother picture trending online is actually a garage in the 4 flats built by my late client in Ijagbo few kilometer to Offa and about 9 kilometers away from his village, Ira. Even before the demise of Rashidi, the woman had always been in charge of the rent of the building which runs into to several hundreds of thousands of naira without Rashidi interfering. The Boy`s quarters at the back of the main building as at 2006 was around N48,000.00 each, while each 3 bedroom flat in the main building goes for about N80,000.00 each or more which brought her annual income from rent of the building to about half a million naira despite the fact that Rashidi was always sending pocket money to her and her siblings. Apart from this, Rashidi made sure he empowered his entire sibling by opening one of the best hairdressing saloons for his late sister, late Rofiat, who also died in 2014. 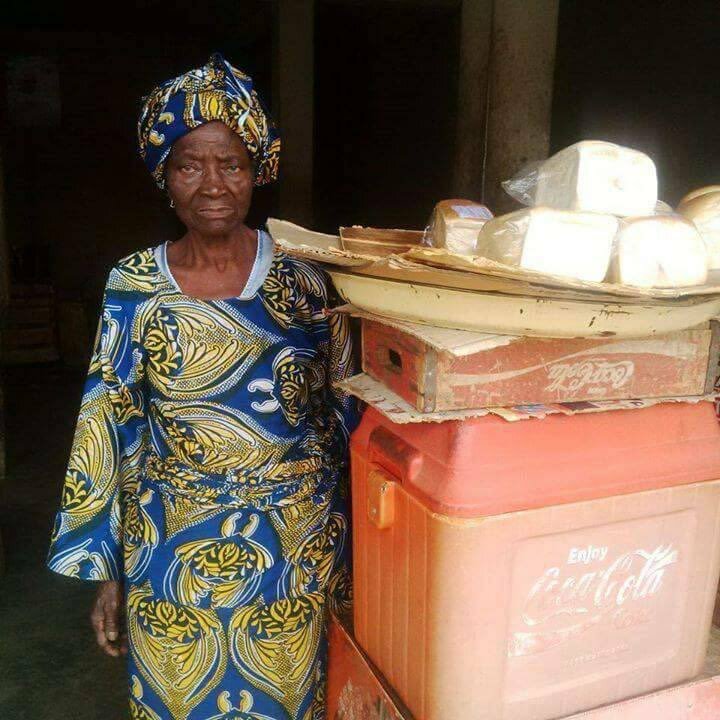 Yekini’s mother sells bread to survive in Ira township, Kwara state. Akeem (his younger brother) was not left out of Rashidi`s generosity as he bought 18 seater bus for him among many things I do not want to mention. I wonder where did the writer got the impression that Rashidi ever neglected his mother. Even after the death of Rashidi, nobody, not even his two daughters have ever interfered on who takes the rent. Not even the ex-wives, on behalf of their respective daughters ever query the mother about the income from the building. I wonder how she is now starving. Two of her children are dead (Rashidi and Rofiat) leaving only Ismaila and Akeem. Ismaila is based in Kaduna with his family. While Hakeem is the only person living with her with his wife. How is she starving? Can an old woman exhaust over half a million on feeding alone in a year? I am not against any further assistance by any well meaning Nigerian to her, but I owe my late client the duty to set the record straight and because of the negative reactions on social media especially through SaharaReporters, which portray Rashidi as an irresponsible son, who never cared about his family. I am seriously upset about the impression being created by the people who have read the unfortunate story. The gospel and the uncontroverted truth is that Rashidi made adequate provision for his mother. The questions that we should be asking is how are his two daughters faring and who is responsible for their education and upkeep. My advice on this is to ask Sahara Reporters to investigate before we jump into conclusion.